Bernie Sanders may be fighting hard to beat Hillary Clinton, but the democratic presidential candidate strongly outranks all of the Republican presidential candidates. 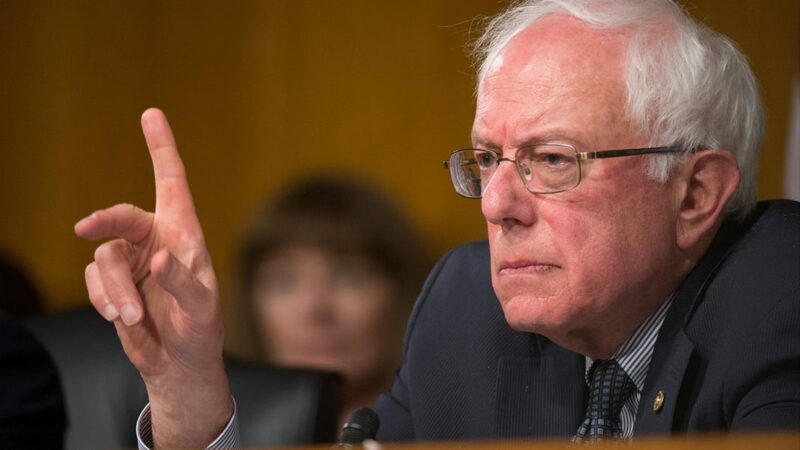 In a recent poll released from Quinnipiac University that showed hypothetical matchups between all the different Democratic and Republican candidates, Bernie Sanders took 49 percent of the vote against the current GOP frontrunners, Donald Trump. Trump had 41 percent of the vote when placed against Sanders. Other alternatives included Sanders (47%) against Carson (41%), and Sanders (44%) against Rubio (33%). The gap considerably widened in Sander’s favor against each candidate when looking at voters only in the 18-34 age range. Hillary Clinton widened her lead against Sanders from the previous month’s poll to 60 percent vs. 30 percent. The previous month showed a 53 percent vs. 35 percent. Donald Trump has become the official GOP frontrunner, with 27 percent of the Republican vote. His runners up are Senator Marco Rubio with 17 percent and Ben Carson with 16 percent. As for honesty: voters clearly determined that Bernie Sanders was the most “honest and trustworthy.” 59 percent of voters said that Sanders was honest and trustworthy, versus 36 percent for Clinton and 35 percent for Trump. The poll consisted of 1,453 general election voters, of which 672 identified as Republican and 573 identified as Democrat. You can see the full poll results here.